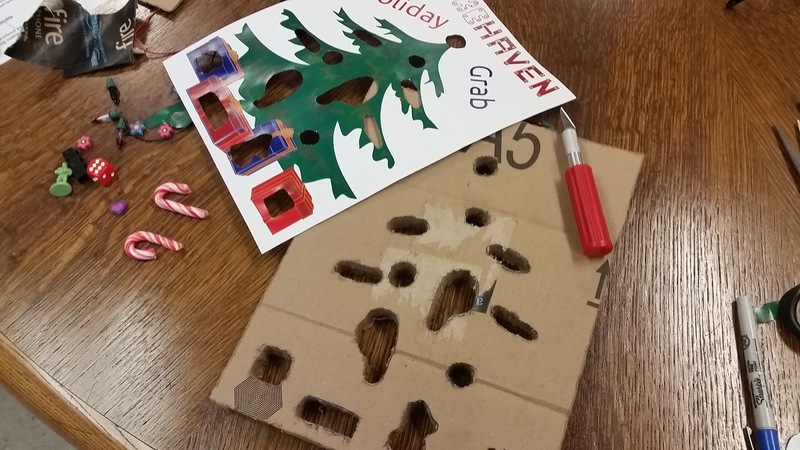 It is a great project because it is simple to build and is a way to teach the kids some some simple electronics and can be built with mostly household materials. 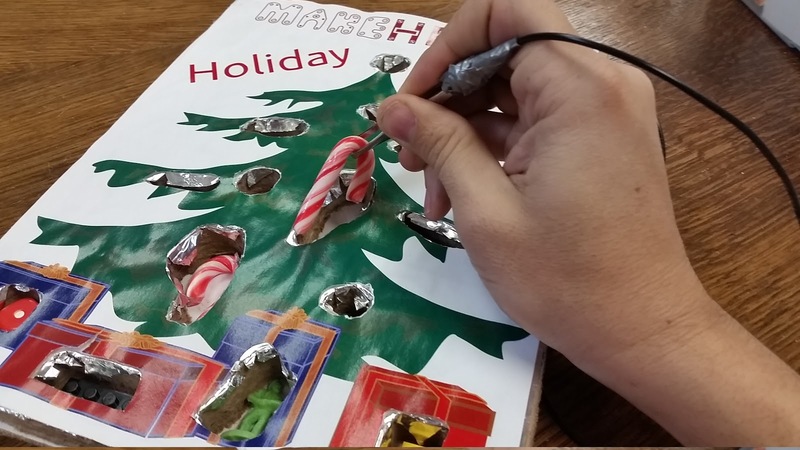 You will need hot glue gun, Cardboard, aluminum foil, tweezers, wire and AAA batteries. 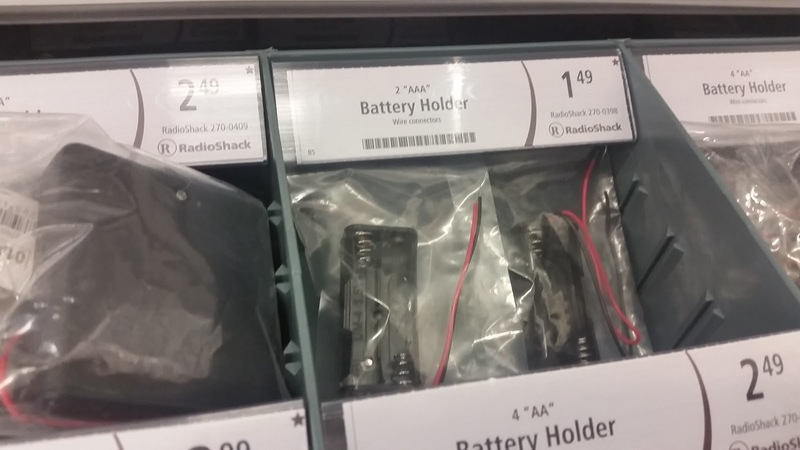 You will also need a battery container and electronic buzzer which you can pick up at Radio Shack. 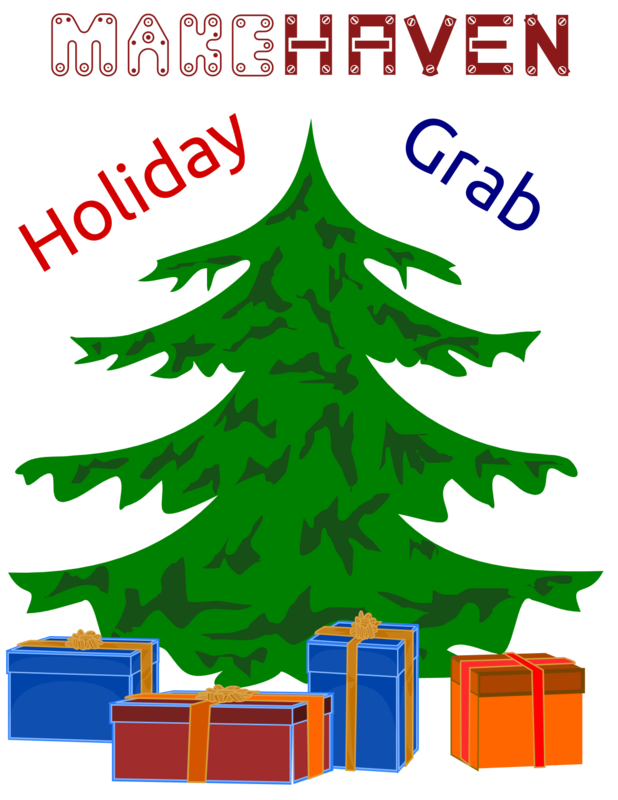 Once you have the parts for construction will want to collect items to “grab” in the game. You can be creative here. 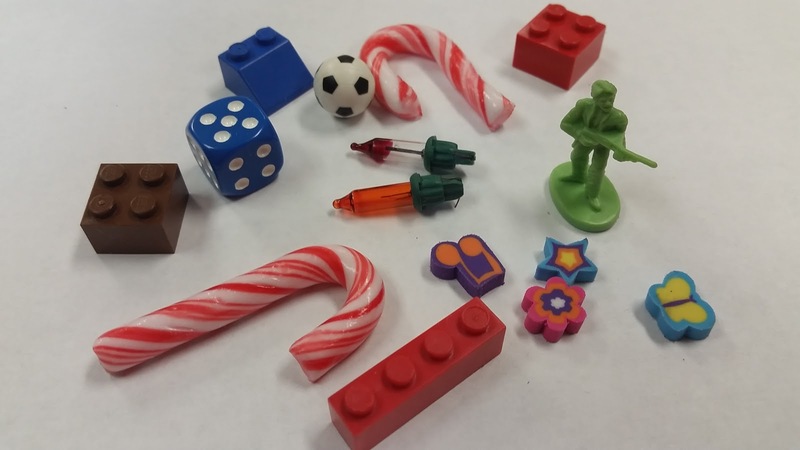 Some examples are lego, candies, buttons, extra christmas lights, basicly anything small. 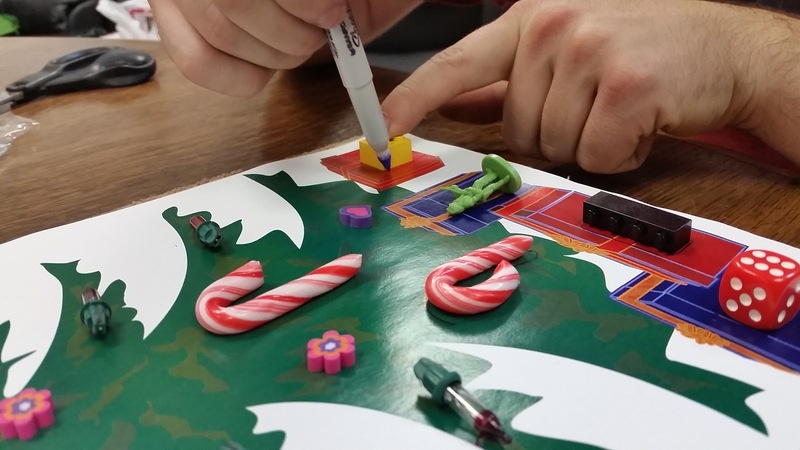 First you need download and print the game design. Once you have printed it take the items you have collected and arrange them on the board like I have done in the image. Trace, leaving extra space around each object then use scissors to cut out the shapes. You will use this cutout as a template to trace the same shapes onto three pieces of cardboard. Now using the exacto knife carefully cut each of these pieces of cardboard. 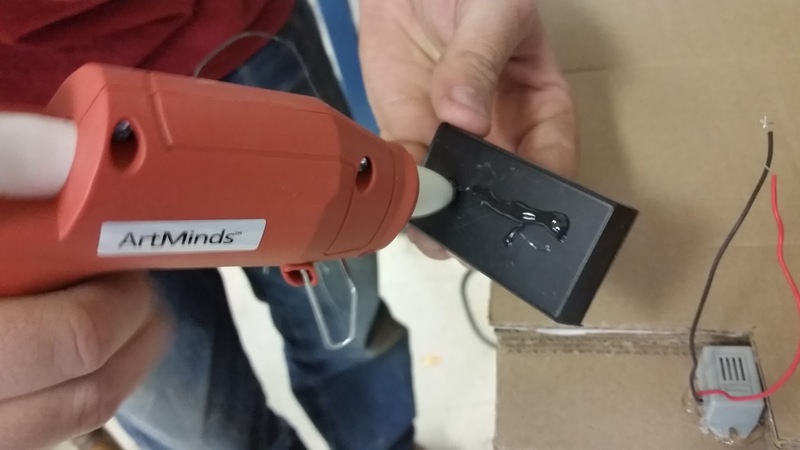 Be sure you are cutting on a surface which you don't mind making marks, and be sure to be safe with the blade. Be sure to check they line up. When done you should be able to stack them and have a deep hole for each game piece. 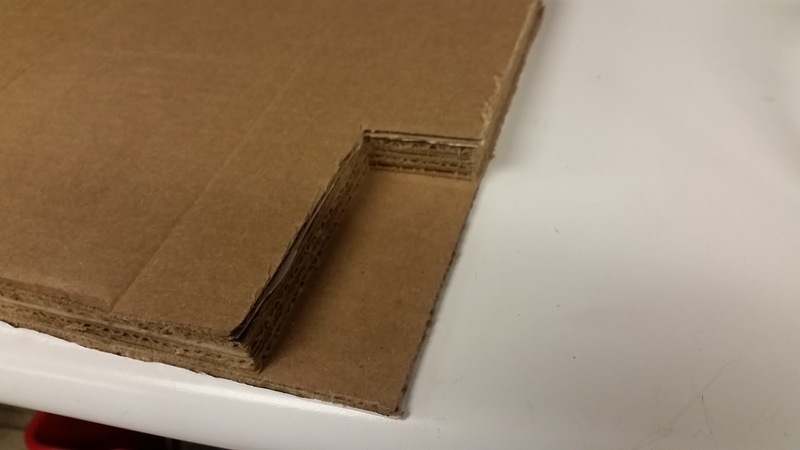 Glue a final layer fourth layer of cardboard, without holes to for the floor of the game. 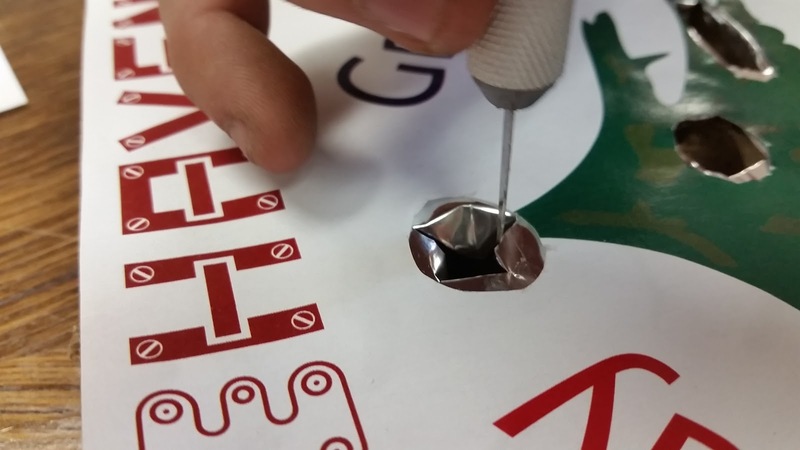 You can also cut a cavity to tuck away the buzzer and battery. Take a hot glue gun and glue each of the layers together. 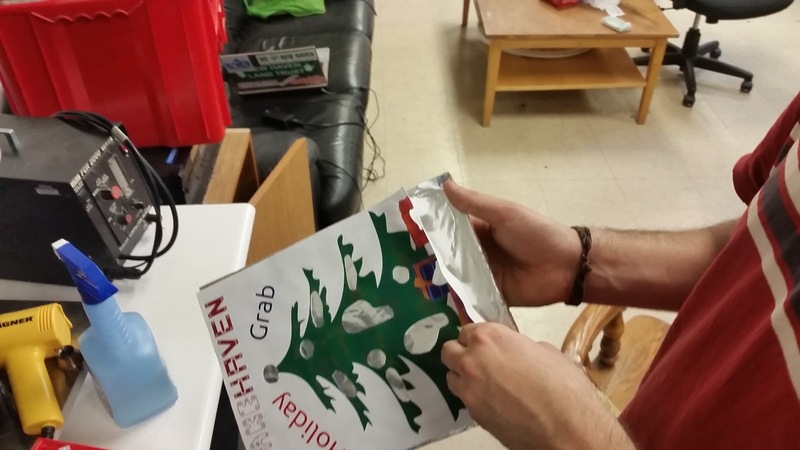 But to not yet glue the tree image to the cardboard. 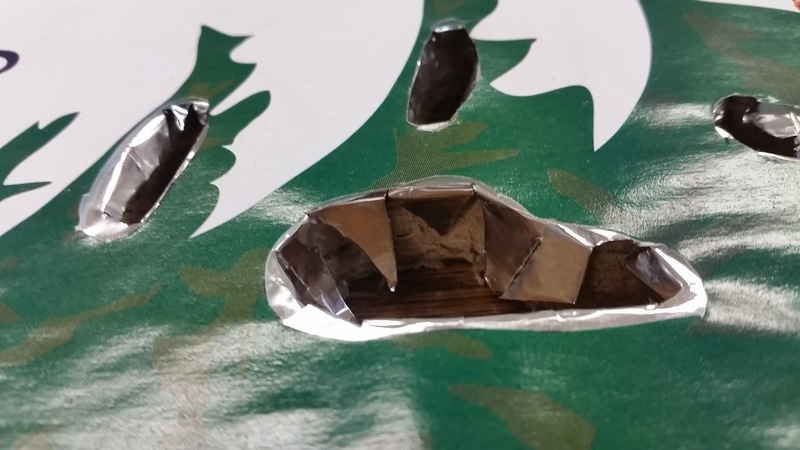 The next step is to take some aluminum foil and security it with the hot glue to the top, then add the image -- being careful to line it up with holes underneath. We need the aluminum because it conducts electricity, which is what triggers the buzzer. Glue down the aluminum then trim it . Then glue it down the game image which you have been using as the template. 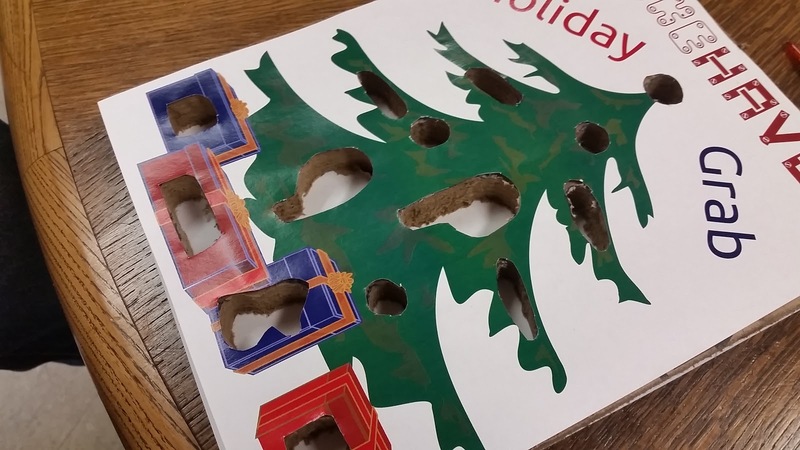 It is very important that you try like up the holes in the template image and the holes in the cardboard. 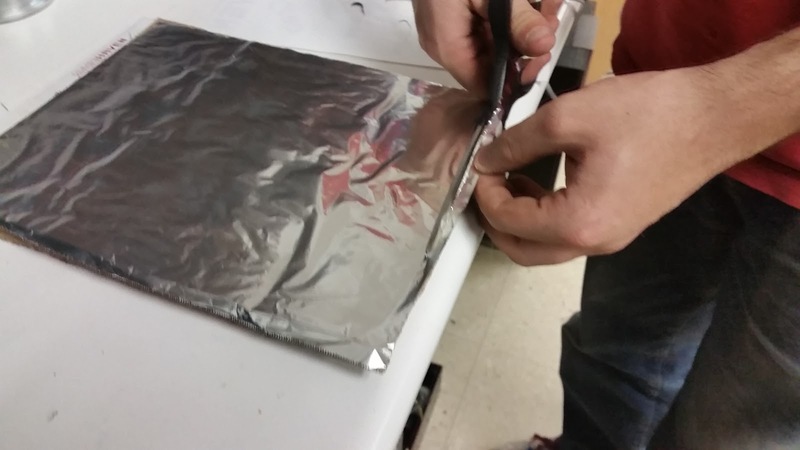 To finish the board you put slices in the aluminum and tuck it back. 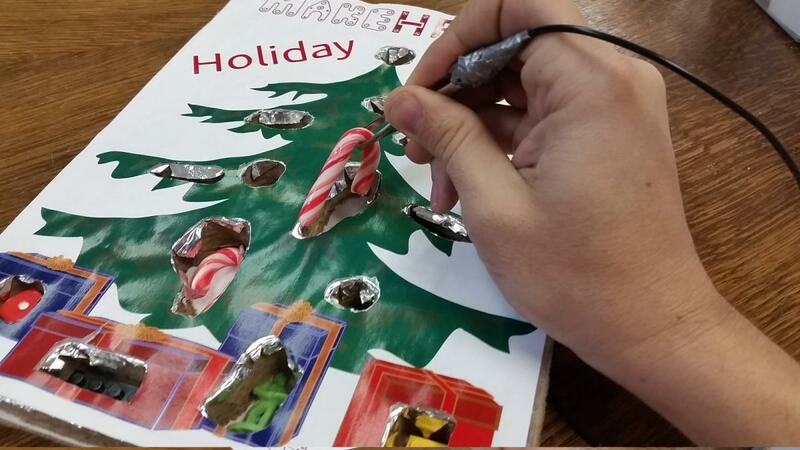 You want to leave a ring of aluminum exposed, little flaps of aluminum make the game more challenging and more fun. Now it is time to make the circuit. For the buzzer to sound the circuit will will need to be completed. 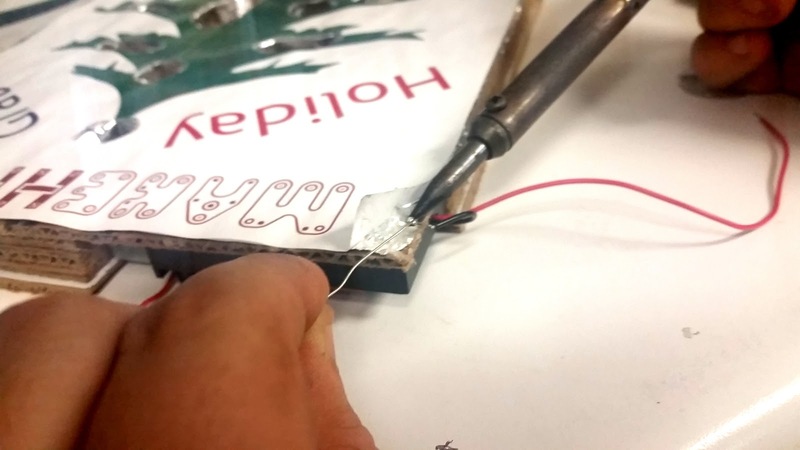 When the tweezer are not making contact with aluminum the circuit is broken. When it touches the circuit is complete and the buzzer will sound. Start by gluing the buzzer and battery holder into the cavity we created. 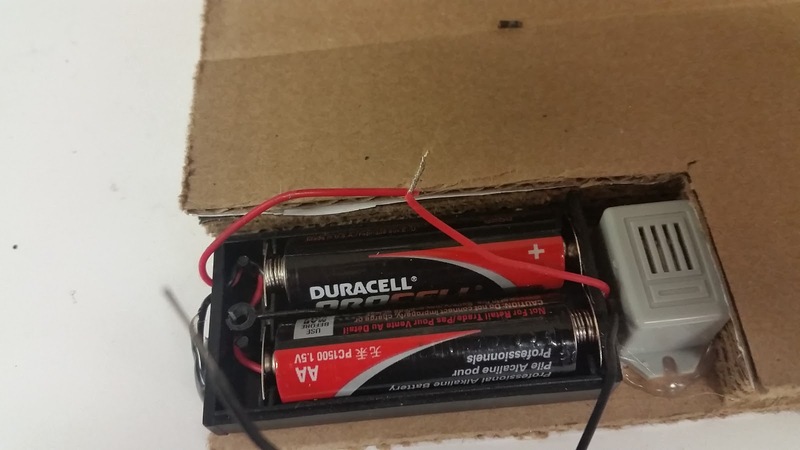 Locate the wires coming from the buzzer and battery case. 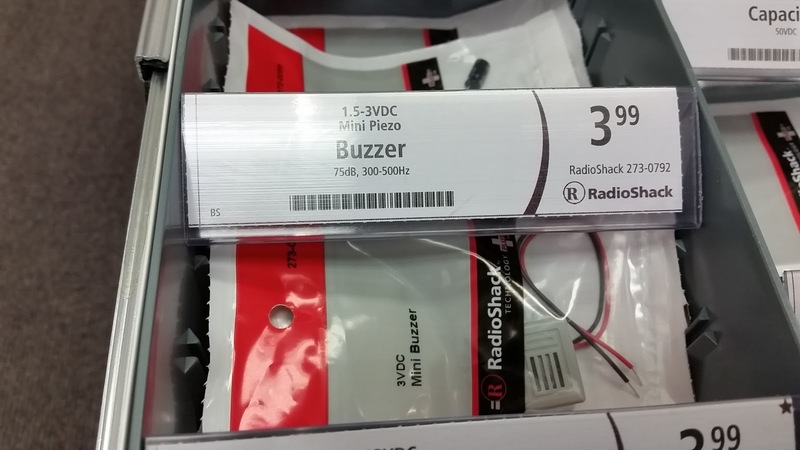 Connect the red wires, ideally by soldering them together. Now take one of the black wires and use a wire striper to expose some wire, and solder it to the aluminum. 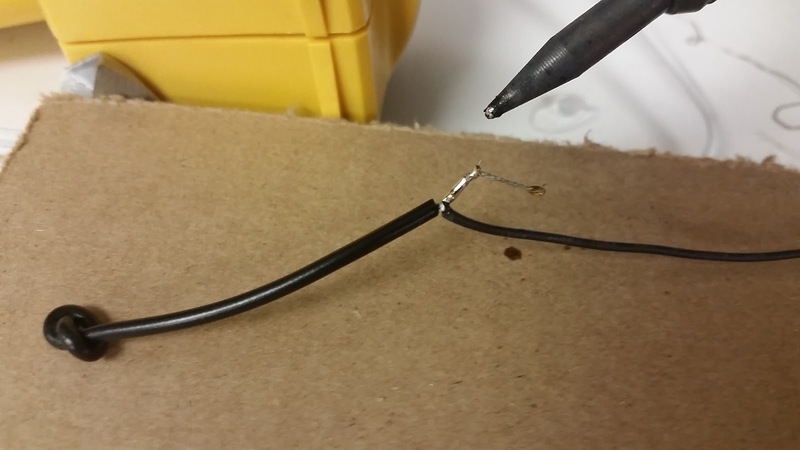 When you have it making a good connection further secure it with hot glue. Now you need to create the grabber. The grabber itself is simple it is just tweezers but they need to be setup to complete the circuit when touching the aluminum. 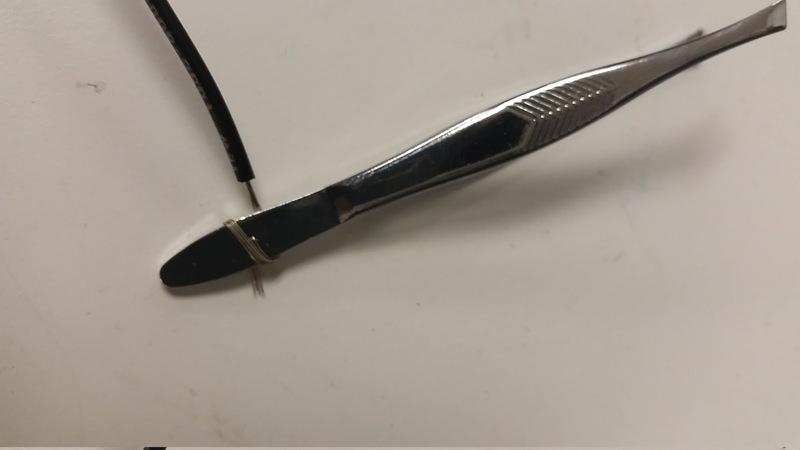 Start by taking a three feet of wire and attaching one end to the tweezers. You can wrap this in tape or use a shrink tube to protect the connection. Next pop a hole in the game and put the other end of the wire through. 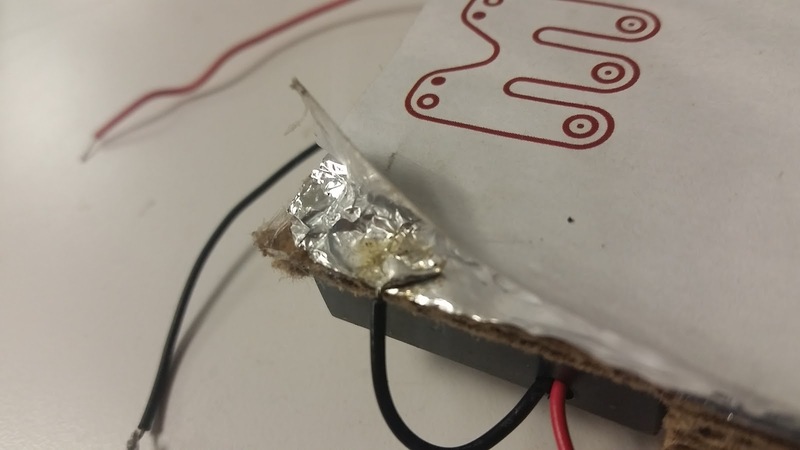 Then solder the end to the remaining black wire coming out of the battery pack or buzzer. That is it! Now it is time to test your game. If you find it not working try testing the circuit at different points you might just have a loose connection somewhere.